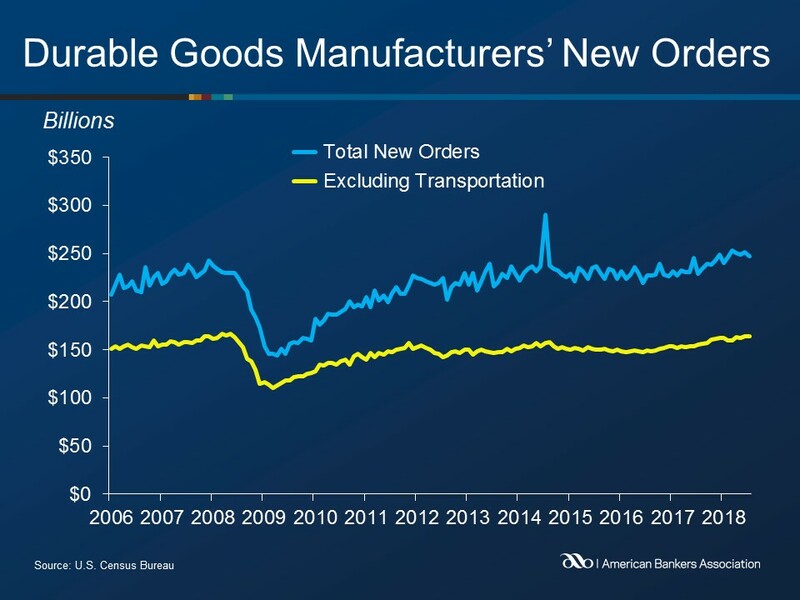 New orders for manufactured durable goods decreased 1.7 percent in July to $246.9 billion, following a 0.7 percent June increase, according to the U.S. Census Bureau. Transportation equipment drove the decrease, falling 5.3 percent to $82.8 billion over the month. New orders, excluding the transportation sector, rose 0.2 percent. Excluding defense, new orders decreased 1.0 percent. Shipments of manufactured durable goods decreased 0.2 percent to $250.8 billion. Inventories of manufactured durable goods increased 1.3 percent to $408.3 billion, following 18 increases over the last 19 months. This followed a virtually unchanged June reading.